The western is a genre that blends with just about any other genre. 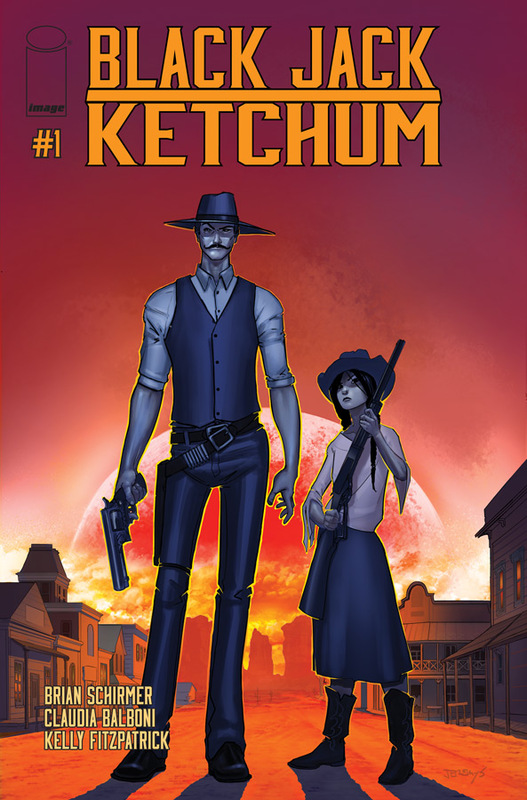 Blending with fantasy always makes it exciting, which is what Image Comics is doing in Black Jack Ketchum this December. 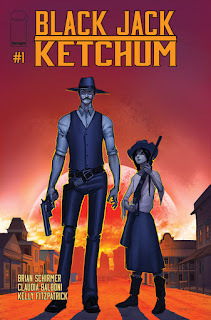 Written by Brian Schirmer and illustrated by Claudia Balboni, Black Jack Ketchum pulls readers into a dreamlike version of the Old West, where one Tom Ketchum struggles to clear his name—and stay alive—when he's mistaken for wanton outlaw "Black Jack" Ketchum. With the aid of his talking sidearm, a secretive gambler, and a mute girl with a Winchester, Tom evades the mysterious Union and its supernatural enforcers, the faceless Dusters, as he's forced to question his identity, his sanity, and his very existence. Black Jack Ketchum#1 (Diamond Code OCT150488) will hit comic book stores on Wednesday, December 2nd. The final order cutoff deadline for comic book retailers is Monday, November 9th. Full press release below.